South Beach Smoke is committed to total customer satisfaction. In today's world, many businesses say the same thing. However, we believe that "talk is cheap." To demonstrate our committment to excellence, we are putting our money where our mouths are with our 30-Day Money Back Guarantee. If you, the buyer, are for any reason unhappy with any product that is branded South Beach Smoke, you can return it for a full refund of the purchase price minus shipping and handling within 30 days of the purchase date. Please note that due to obvious health reason, unsealed or opened cartrdiges are not refundable. As well, because we custom blend our eliquids fresh to order, eliquids are also not covered by this guarantee. 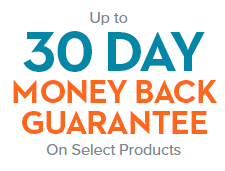 Third party devices are also excluded from the 30 Day Money Back Guarantee, however if the product is unopened and re-stockable, you can return the item for refund less shipping and handling within 15 days of the purchase date. Getting a refund is easy... Simply give us a call and we will assist you in returning the product and issue you a full refund, less shipping and handling. Please refer to our Terms & Conditions for further details and instruction.